Saving money is always a great idea, but can you save money without cutting any of your cleaning power? These 10 tips will help you do just that. Many areas of your home can be kept clean by using a mild dish soap and plain water. Dish soap can be used as a laundry stain remover, a window cleaner, a surface spray, a carpet stain remover, fruit and veggie wash, and to clean most surfaces in your home. 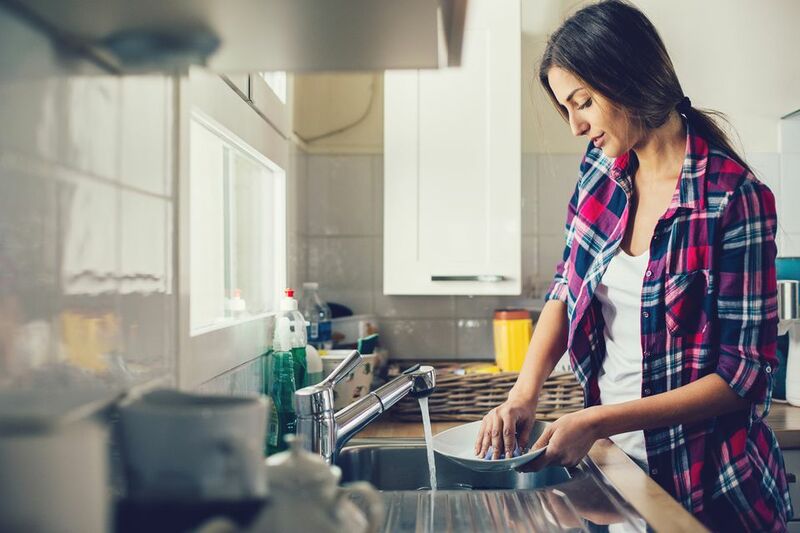 We often turn to specialty cleaners for each different surface in our home, but dish soap is a great mild alternative that won't damage most surfaces​ and manages to remove a lot of dirt and grime. As your ​light bulbs need to be replaced, switch from normal incandescent bulbs to fluorescent light bulbs. The bulbs will cost a little more in the short run, but they last up to 10 times longer and use 2/3 less energy to provide the same light. You save money on your energy bill and your household budget by buying bulbs less frequently. Buying just a few at a time to replace burned out incandescent bulbs is easy to do and will make a big impact over a year. Doing a little bit of daily maintenance will reduce the need for tougher cleansers to clean your home. Most stains can be removed with water, dish soap, or laundry soap if they are treated quickly. Spills that are wiped up right away rarely need many cleansers to be cleaned. Make it a point to clean and maintain your home daily, and you'll find much less of a need for specialty cleaners and expensive solutions. Side by side comparison of a store brand and a name brand. We get stuck on the brands we know and trust a lot, but sometimes there's a store brand of the same cleaner that may work just as well for a fraction of the cost. As an example, the store brand of the household eraser was forty percent less expensive than the name brand, and they are virtually identical. Look for store brands and compare ingredients. More and more store brands clean just as well as more expensive name brands. A tightened household budget can really benefit from some careful shopping and coupon usage. Manufacturer's websites often have coupons to entice buyers to try their product. Grocery stores and drug store alike print coupons in their sale papers. Look for sales on items you normally use and buy extra if the price is right. Improperly stored cleaning supplies can turn into a mess. Make sure your supplies aren't exposed to extremes in temperature or light. Keeping supplies from spilling and mixing is also a major concern. Cleaning supplies should also be stored away from areas where pets or small children might come into contact with them. There's a cleaner for everything and if you get them all your cleaning cupboard would be overflowing. The truth is that a lot of cleaners can pull double duty. If you really want to save on your household budget, pick all-purpose and multi-purpose cleaners. Save specialty cleaners for really tough jobs, and only if your others don't work well. You may be surprised by how little you really need to keep your home clean. Disposable items are handy, but they can quickly eat up a household budget. To save money, pick items that can be reused. Microfiber cloths are a great choice for cleaning, dusting, and scrubbing. Instead of disposable mopping pads, pick a reusable mop and take care of it. Choosing reusable items can save a lot of money. There are a lot of ingredients around your home that can be used to make great cleaners at a fraction of the cost. Vinegar is a great all-purpose cleaner. Baking soda is gentle enough to use as a mild abrasive in many areas of your home. Lemons have a natural bleaching ability. 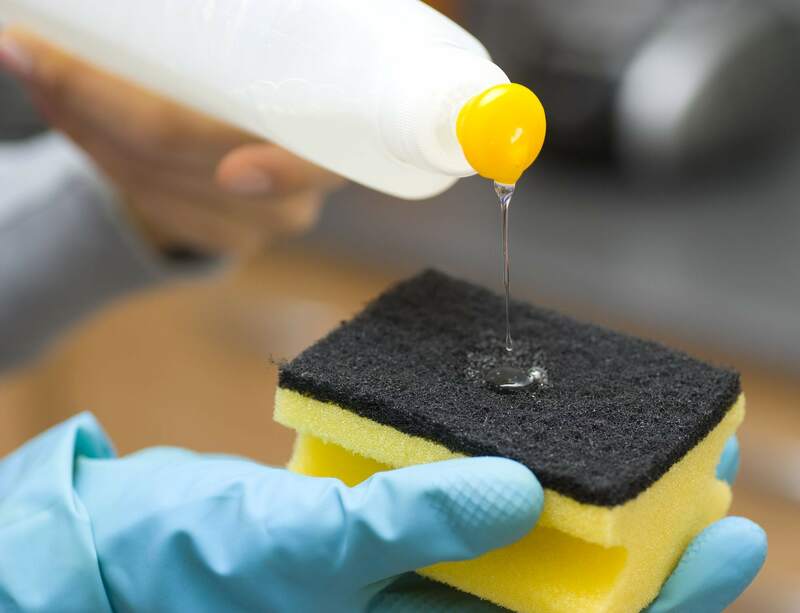 Making your own cleaners can be a great way to cut cleaning costs. Controlling clutter is a major part of keeping a house clean. Removing unwanted and unnecessary items from your home means you have less to clean. The added benefit is that clutter can be turned into extra cash through yard sales. Getting rid of items that aren't need will cut your cleaning time and expenses drastically.